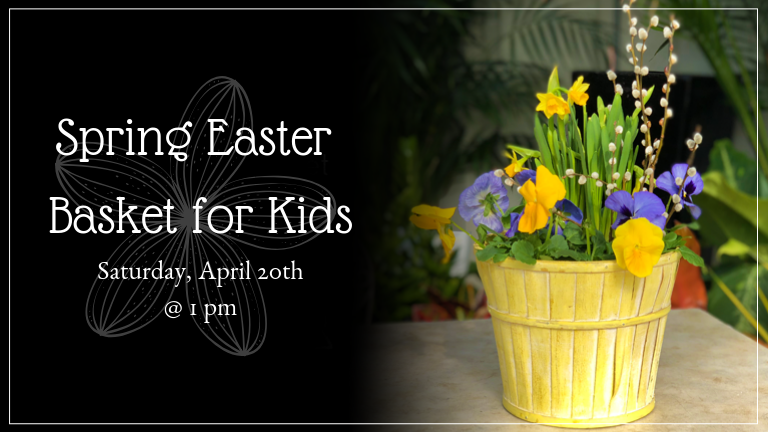 https://nunans.com/shop/workshops-and-events/workshop-spring-easter-basket-for-kids/In this class, we’ll be planting pansies and other spring plants into a spring basket to make a living Easter basket that can be given as a gift or kept for your Easter table. Nothing says Easter and springtime like pansies! The fee for this class is $15.00. Pre-payment is required. To register, please call (978) 352-8172 or register here!